Friendship Day …do we really need a day where we need to show how much we care for our friends .And what exactly is friendship … is it liking pictures & retweeting stuff on popular social networking sites or is it spending time with your friends for activities which have sportsman spirit ,egoistic attitude and a fun time going through a few memories or gossiping about your enemies or people you hate . 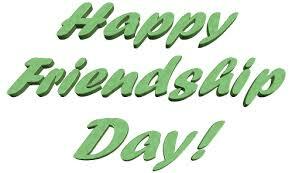 so how is friendship day different from any other day ,is it a day where friends have to meet their friends or show appreciation towards new friends . I guess its just another business for the brands & company . or also is it to see your friend if their with you today also or not . Is that why its called Asha?